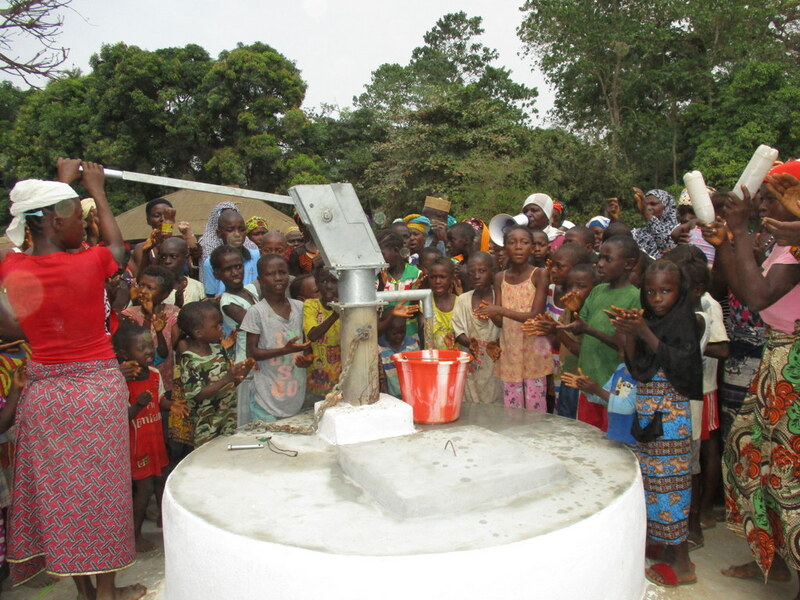 Note: Due to scheduling changes, we have moved your donation from the project at 10 Kallie Lane to this one. 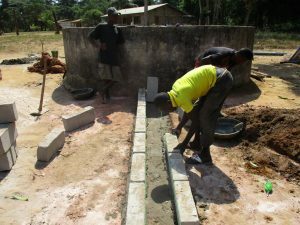 The project at Kallie Lane will still happen, but we do not expect construction to begin until early fall. 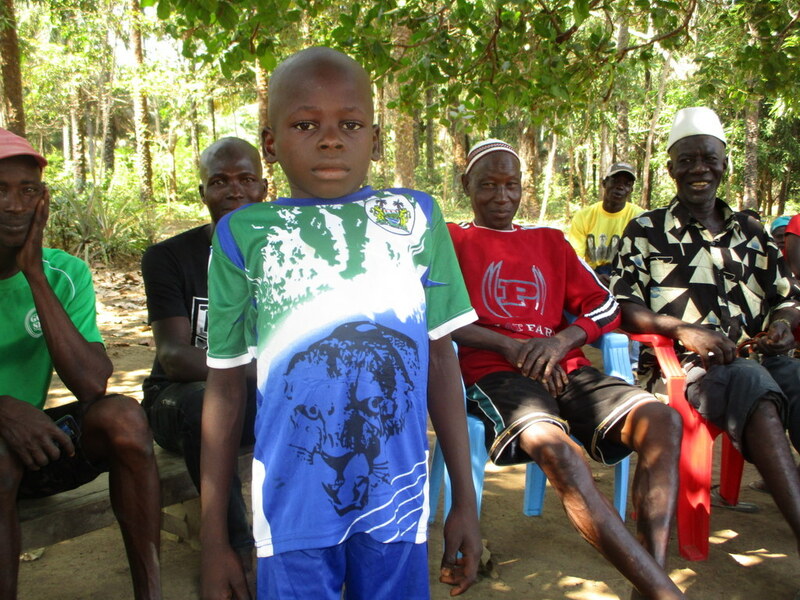 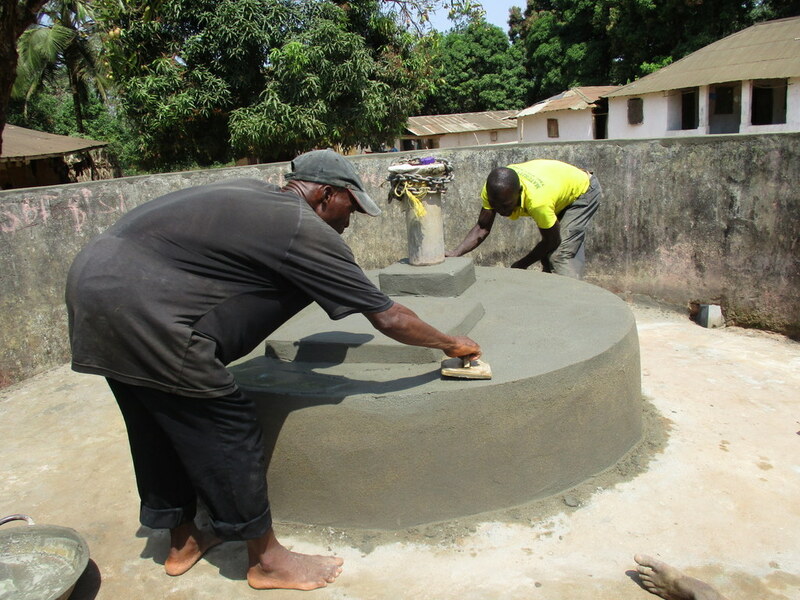 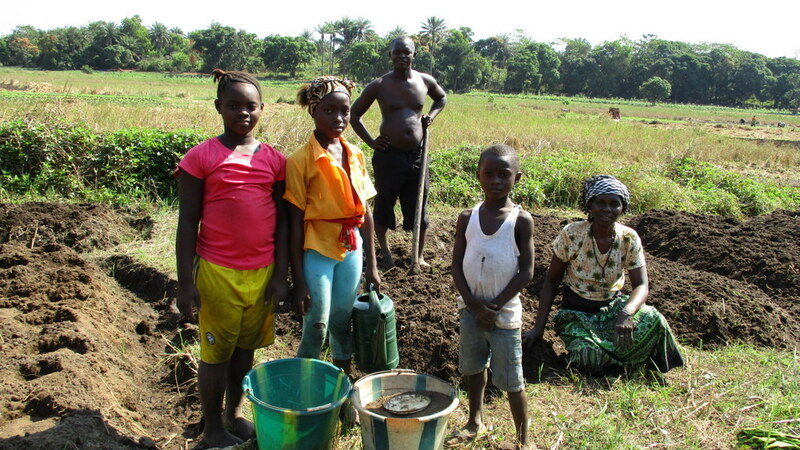 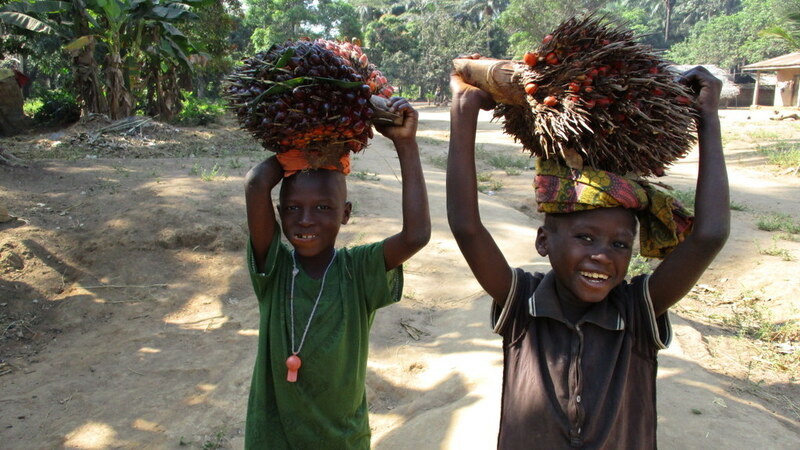 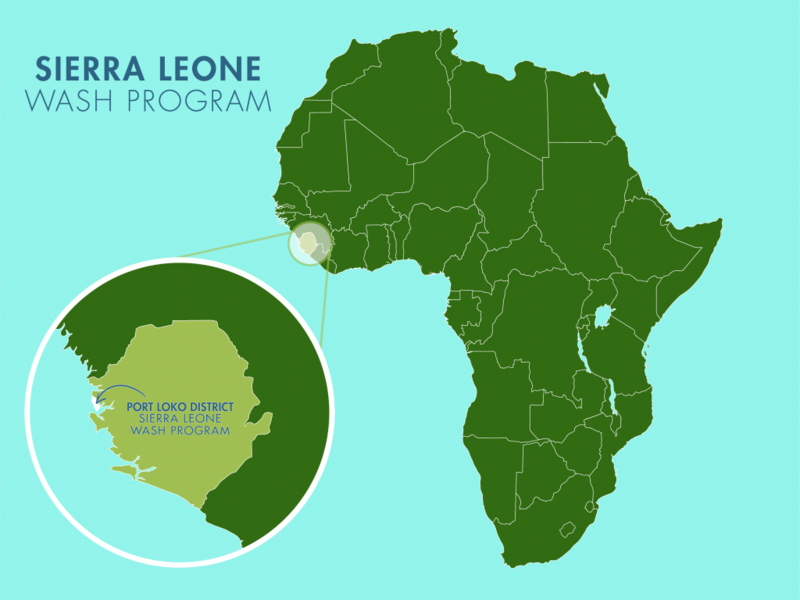 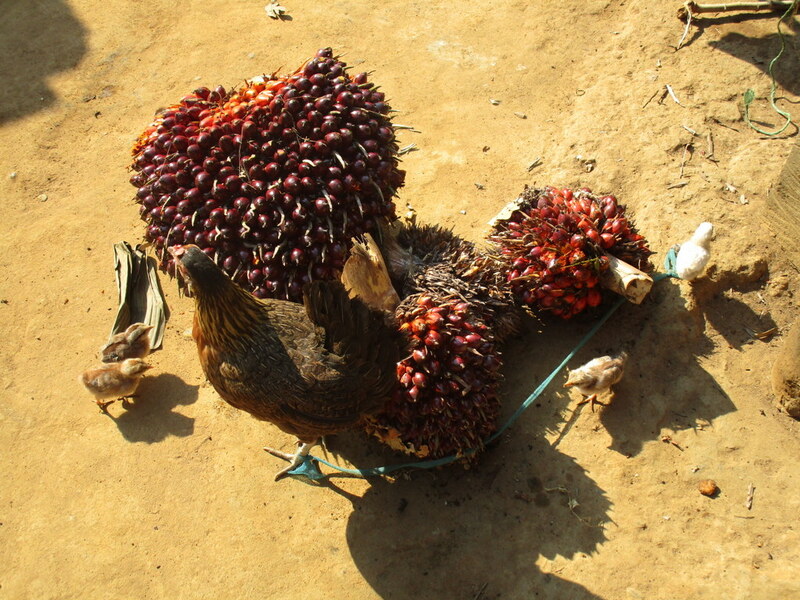 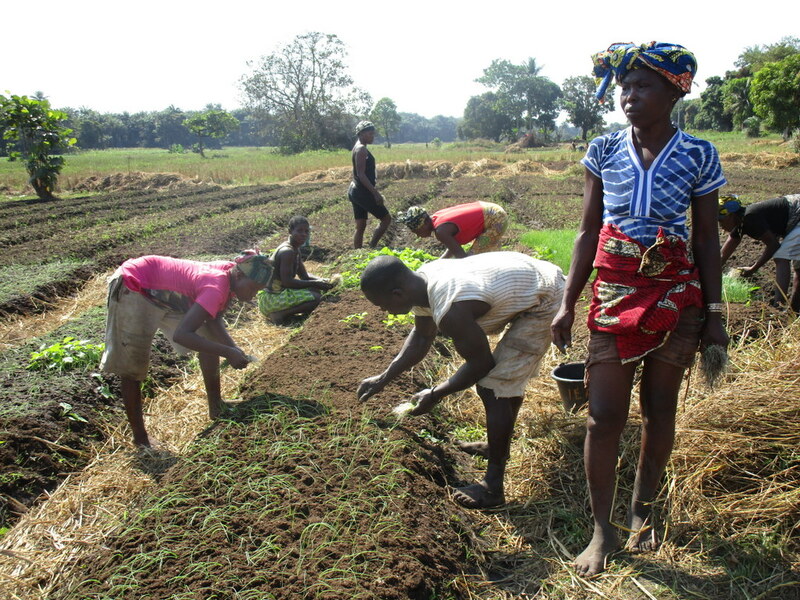 As it turned out, this project in the same part of Sierra Leone is already underway. 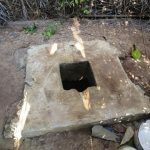 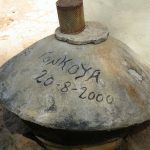 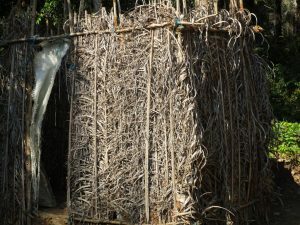 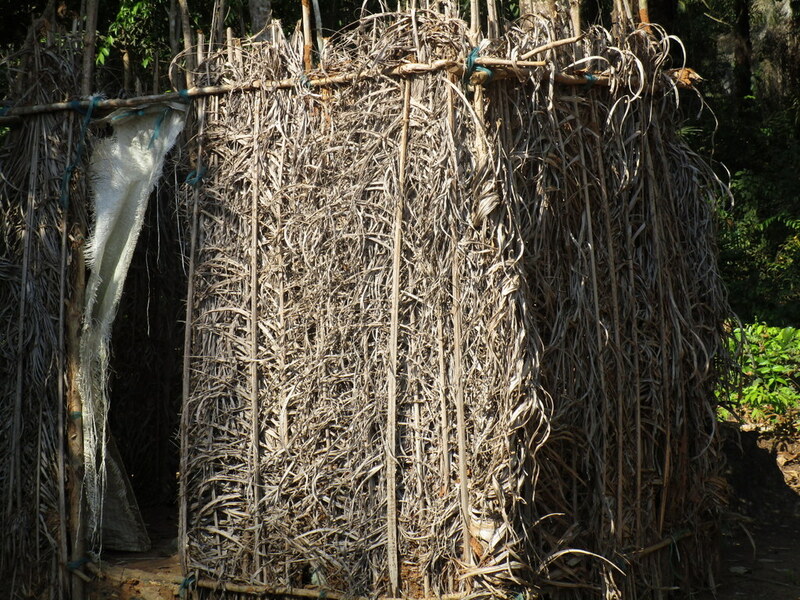 The protected well that is presently in Tonkoya Village was constructed in year 2000. 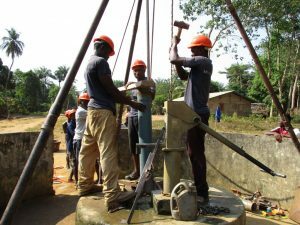 Four years later, the pump head was stolen and a new pump was eventually installed. 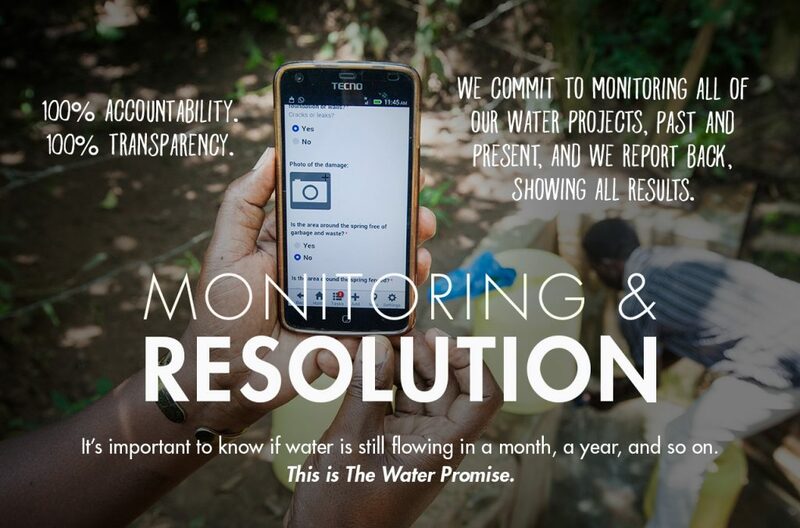 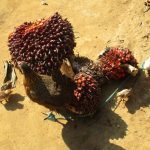 But quarterly monitoring of it revealed that it runs completely dry from the start of March to early July. 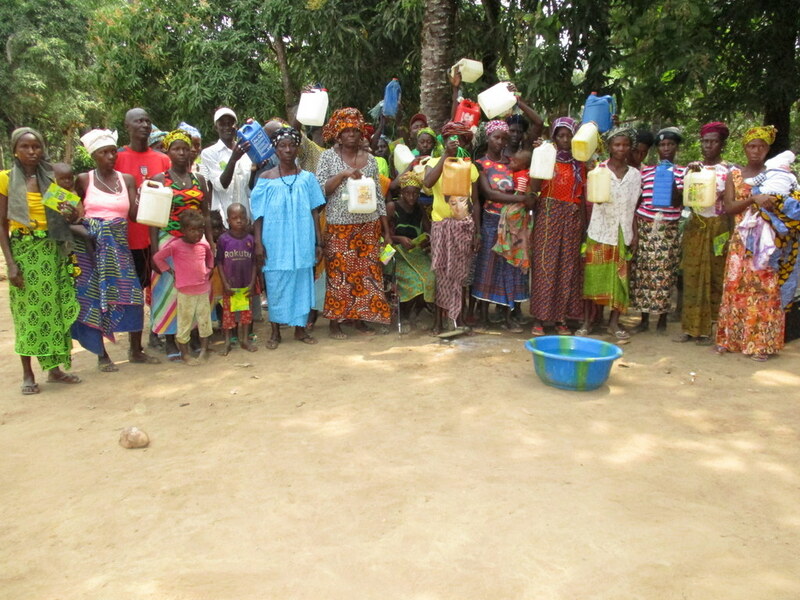 As a result, people turn to the nearby swamp to meet their water needs. 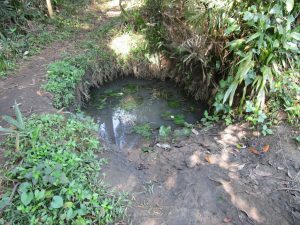 The water from the swamp gets no treatment of any kind. 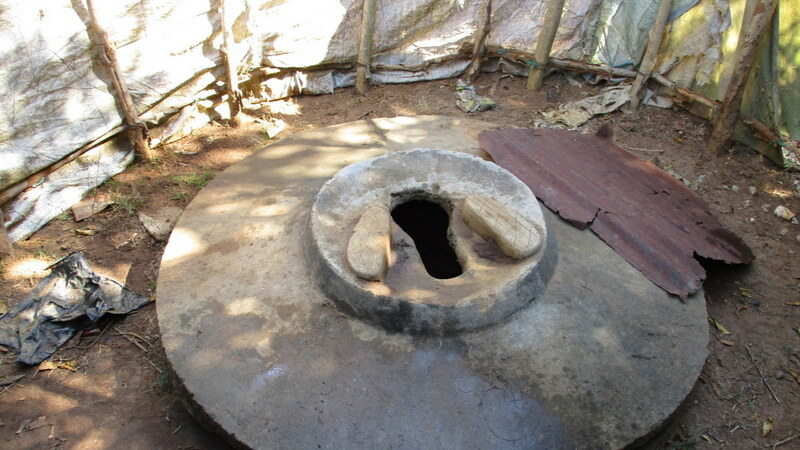 The water is used as it comes. The water quality at the swamp drops the more it gets close to the dry season. 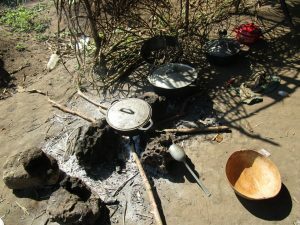 It is murky white and smells of clay and dirt. 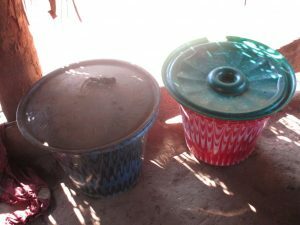 The time of year when the people thirst for clean water is fast approaching; people with an upper hand can now buy large containers and start storing water in drums for the long drought that is about to befall them. 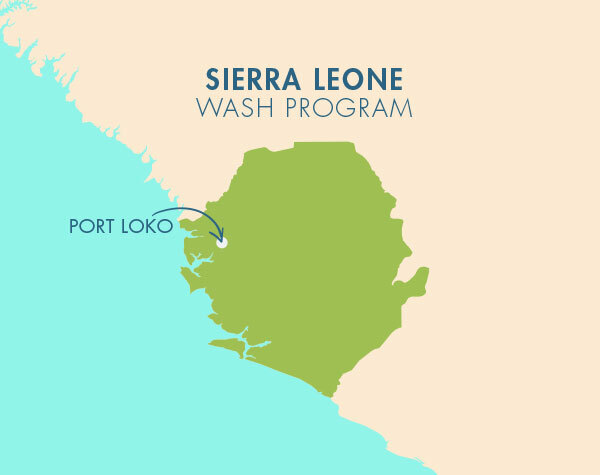 Exposure to waterborne illnesses, fevers, and dysentery is a grave threat to the community. 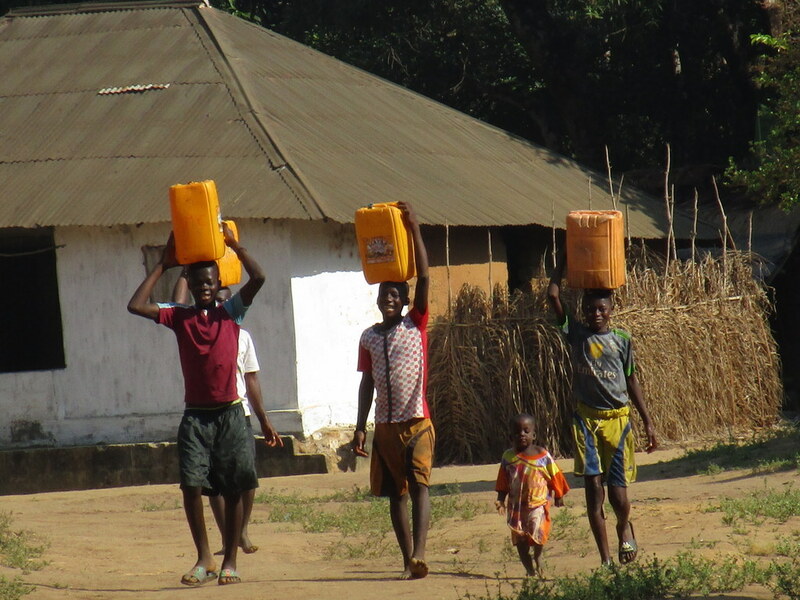 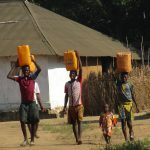 The people travel far distances with dangerous conditions to fetch water even though it is of poor quality. 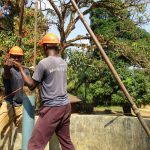 We also learned that the cement around the nearby well is not maintained by the community and is currently in need of repair. A poorly maintained well pad allows contaminants to infect the well water and make it unsafe for drinking. The uniqueness of this community is what binds them together. Each member of the community is related in one way or another. 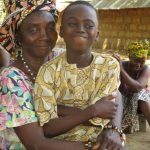 They are all descendants from the same people, the tribe called Bullomites – a tribe that is slowly disappearing. 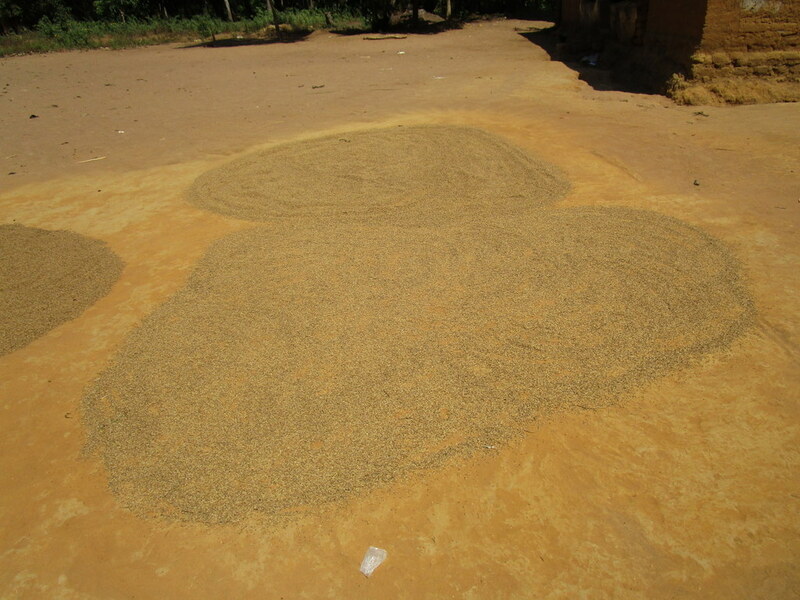 The most common livelihood in this village is primarily planting of different fruits and vegetables. 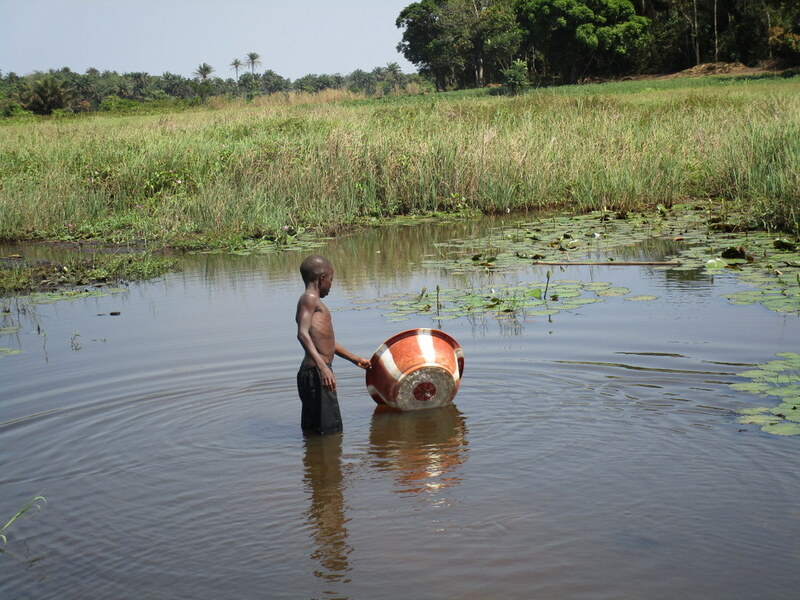 The village is surrounded by swamps so everything that is planted has a great potential of bearing to the fullest. 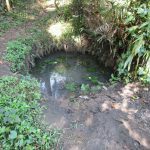 The well marked for this overhaul is dry for a few months every year and needs major work to supply adequate, clean water to the community year round. The pump will be removed, and a hand auger will be lowered inside and powered by a drill team. 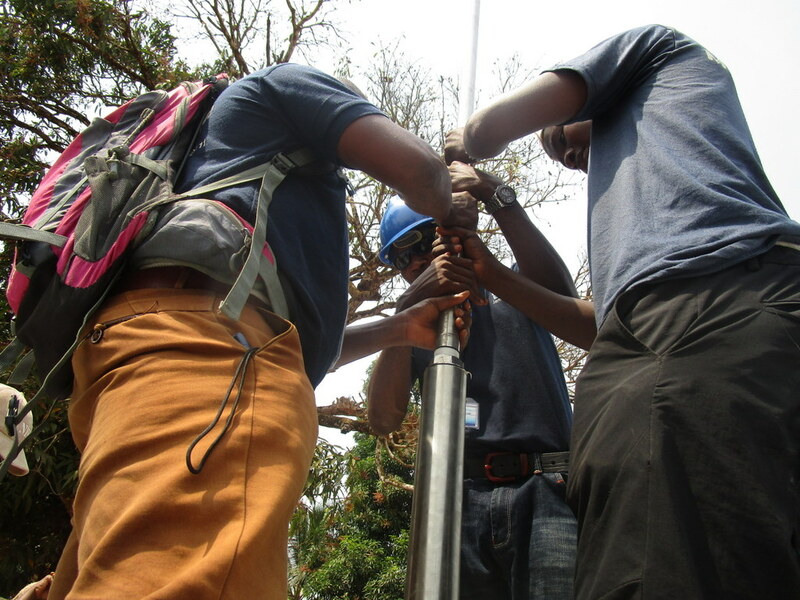 This hand auger will allow the team to drill several meters deeper to hit a sufficient water column that will ensure the well supplies water throughout all seasons. 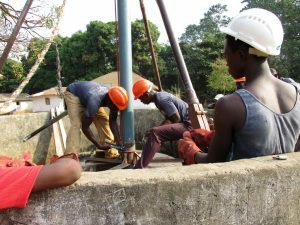 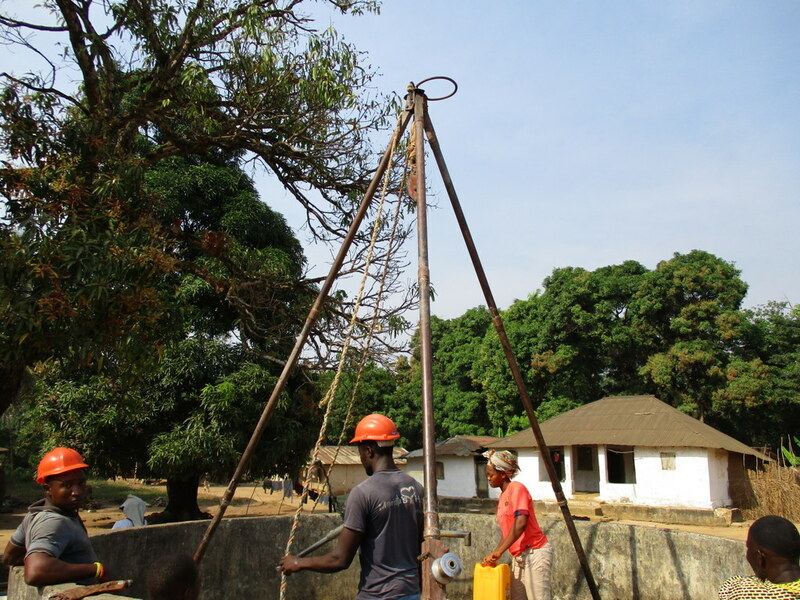 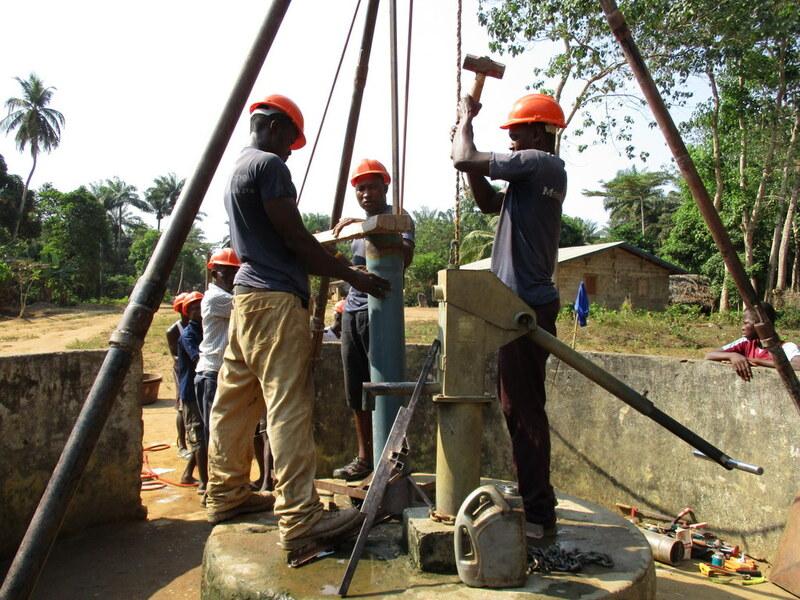 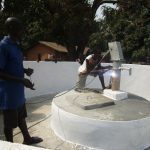 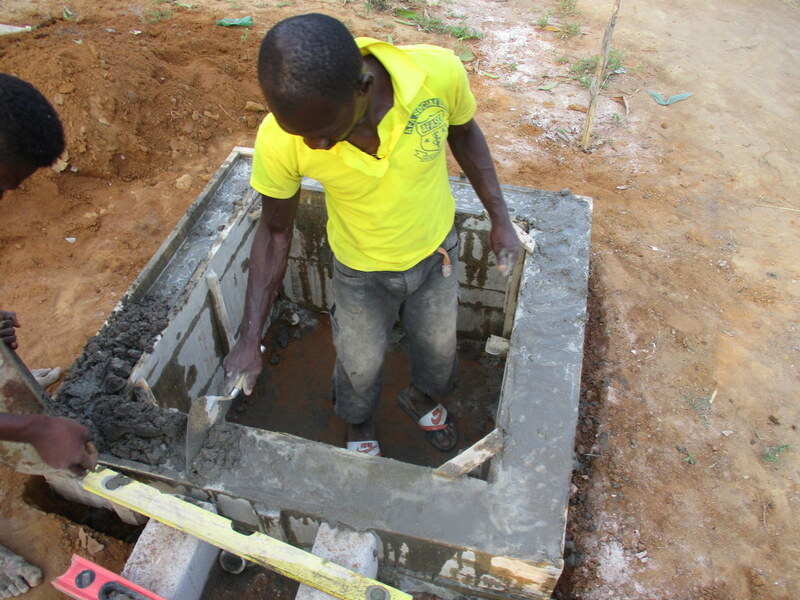 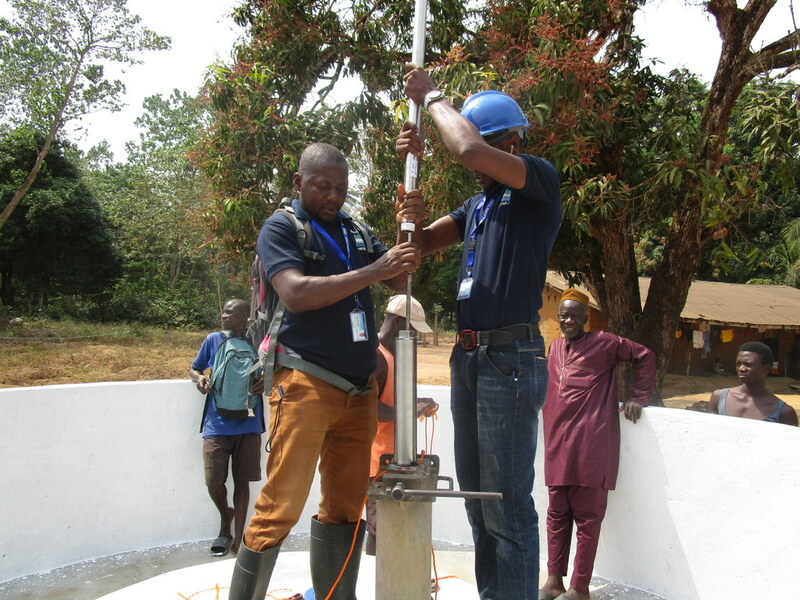 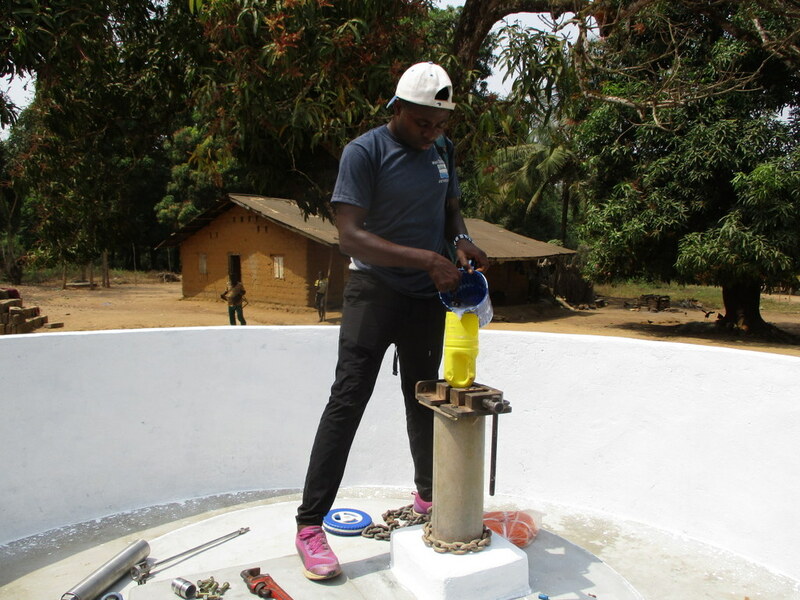 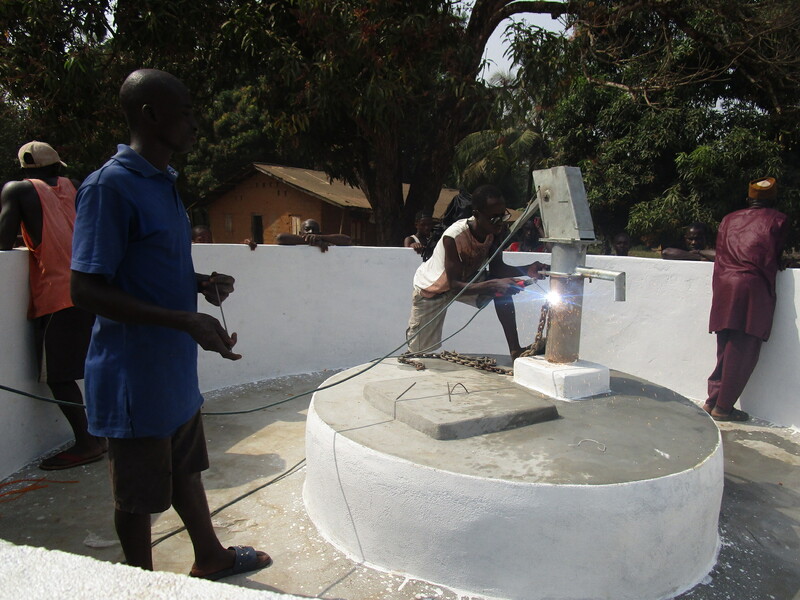 As the team drills, casing will be installed, transforming the bottom of this hand-dug well into a borehole. 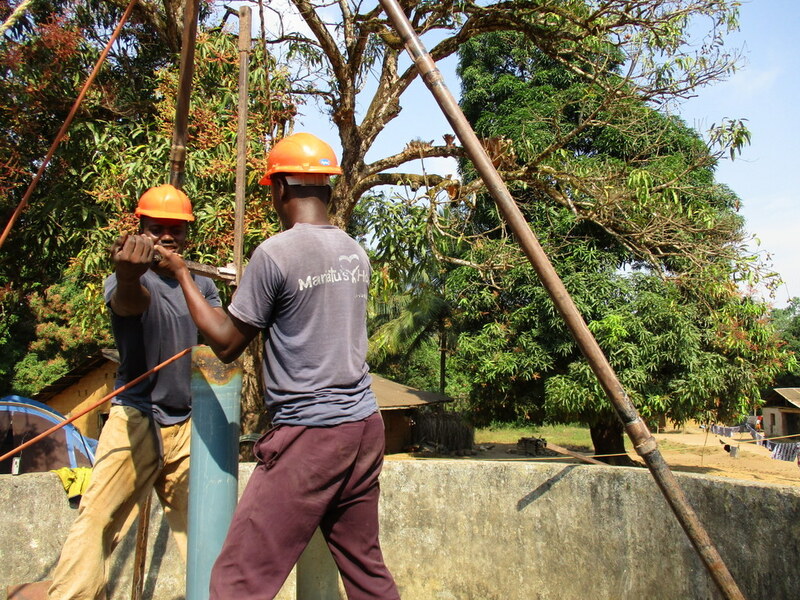 PVC piping will connect this lower system directly to the pump, a construction that we know will also improve the quality of water. 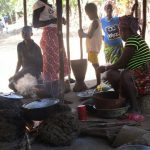 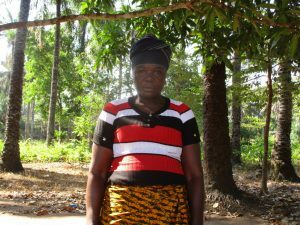 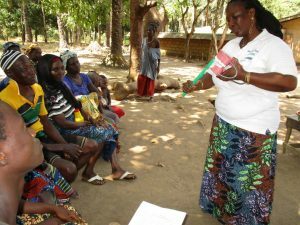 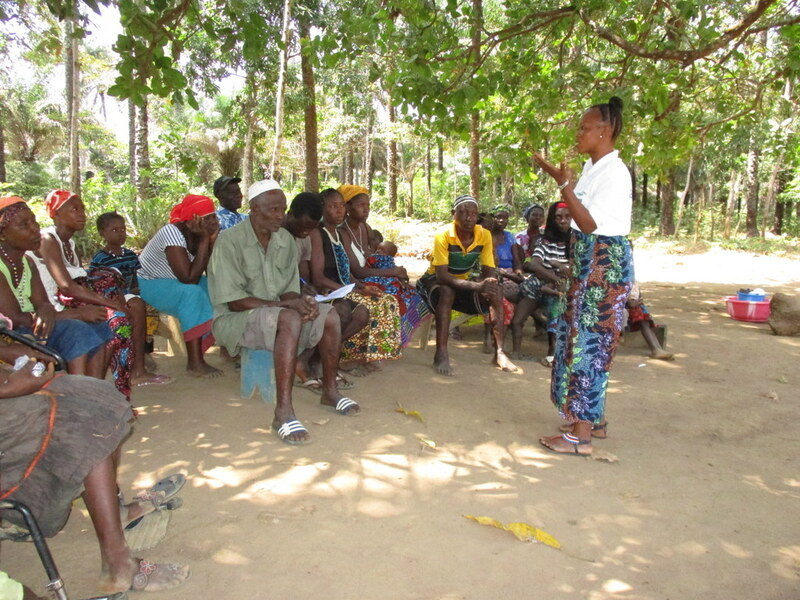 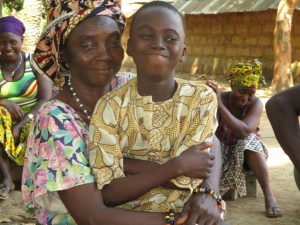 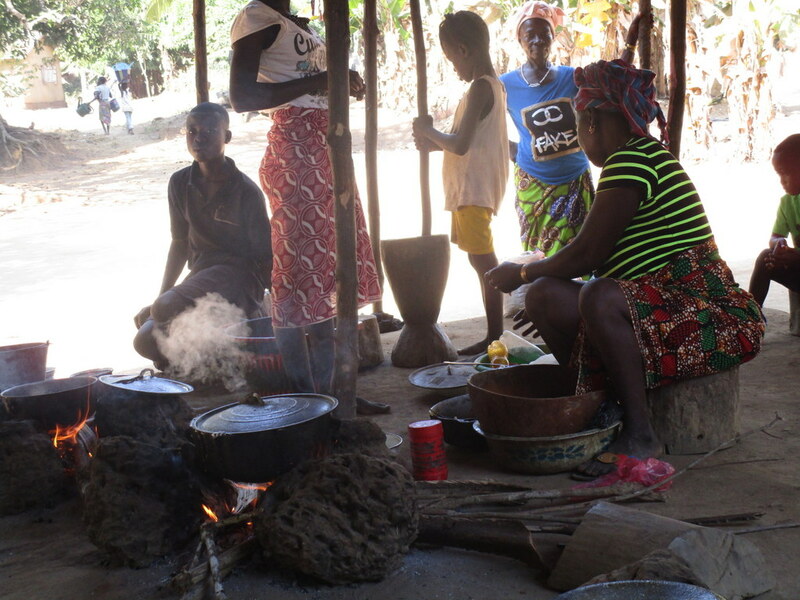 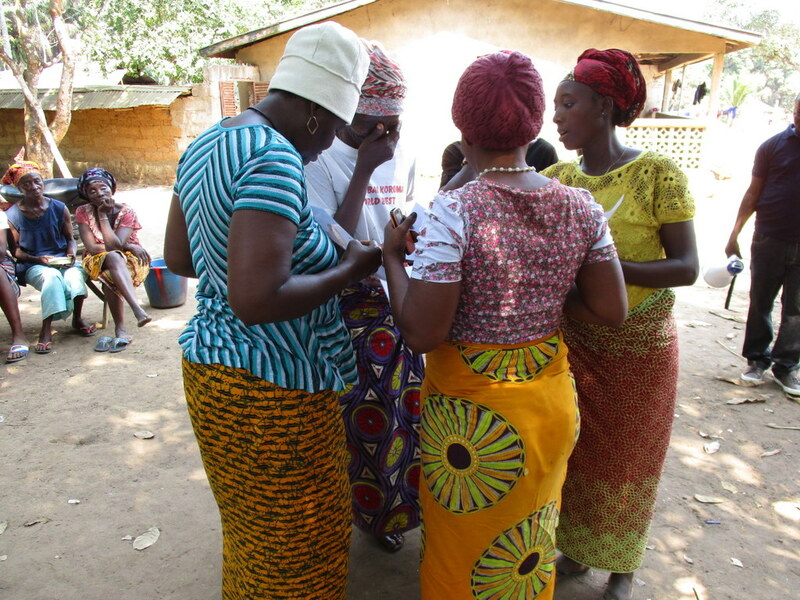 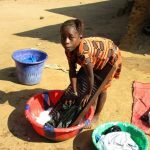 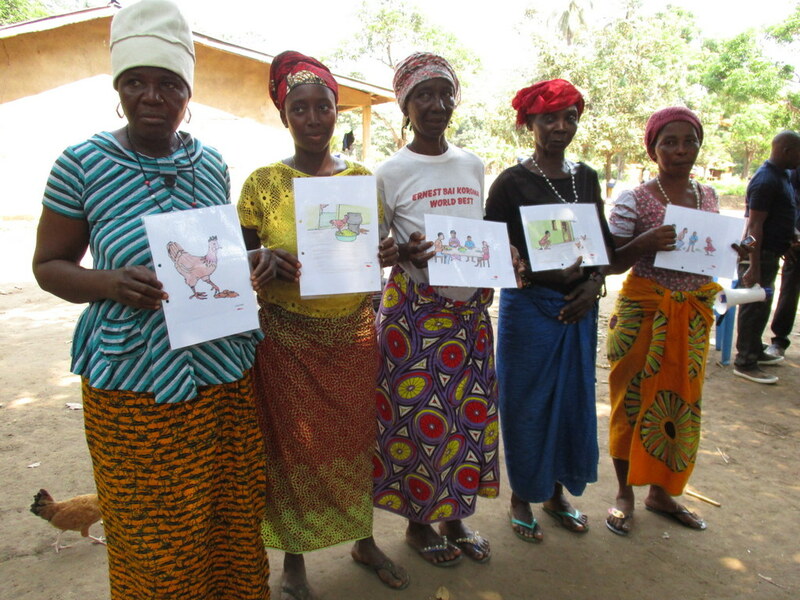 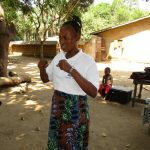 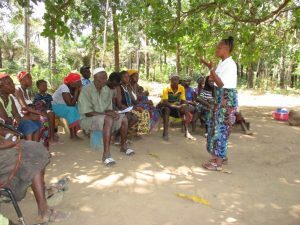 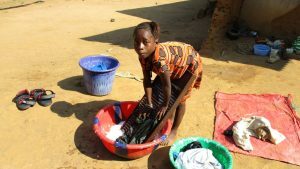 “The hygiene and sanitation in this community has been steadily improving even though we have a long ways to go,” said Mammy Kamara. 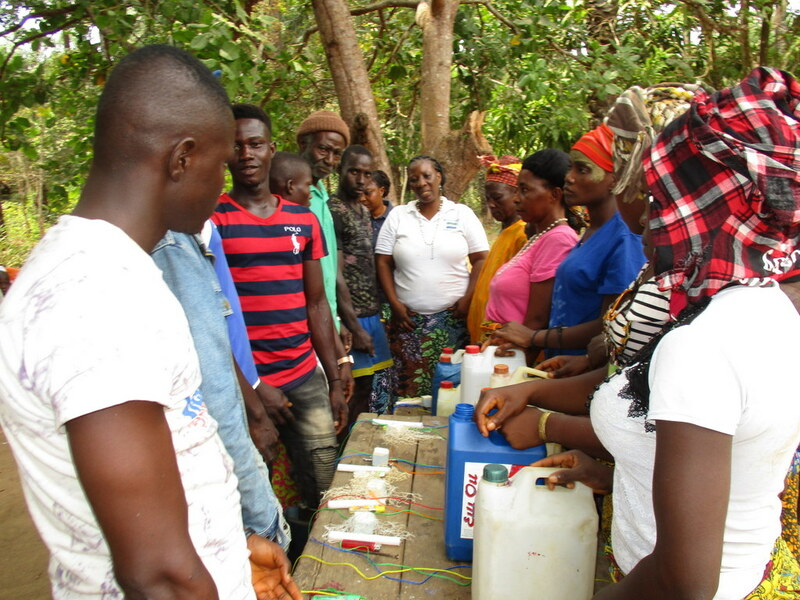 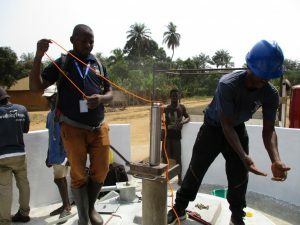 After our visit, the hygiene and sanitation trainer decided it would be best to teach community members how to build a tippy tap (a hand-washing station built with a jerrycan, string, and sticks). They will use these tippy taps for handwashing demonstrations, and will also teach about other tools like dish racks and the importance of properly penning in animals. 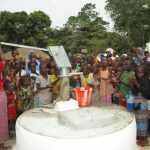 We are excited to share that there is a safe, reliable well in Tonkoya Village that’s providing clean water! 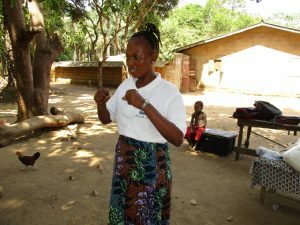 Hygiene and sanitation training was conducted, which focused on healthy practices such as washing hands and using latrines. 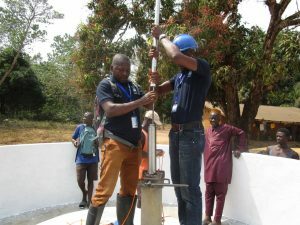 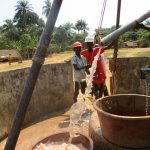 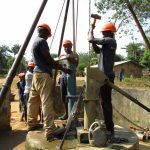 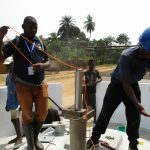 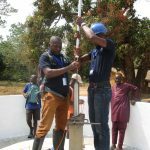 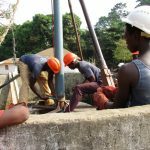 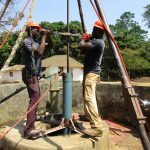 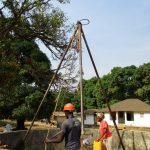 Our teams took the existing hand-dug well and transformed it into a borehole by drilling straight into the existing well. 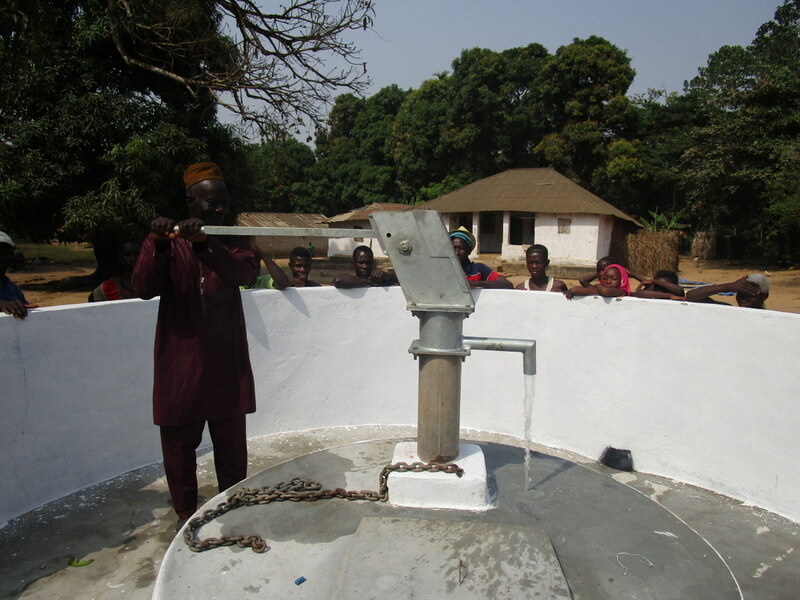 The new depth and well type mean that this community now has reliable water throughout the year! 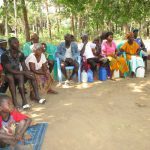 The team deployed at the Tonkoya Village at 4pm and was introduced to the headman who happens to be our main contact person. The team was given a spot close to the water well to pitch their tent and store their drilling materials. 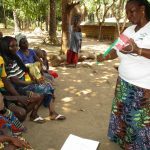 The team coordinator, Zainab, called her team together to go through the information collected during a visit and interviews in Tonkoya Village. 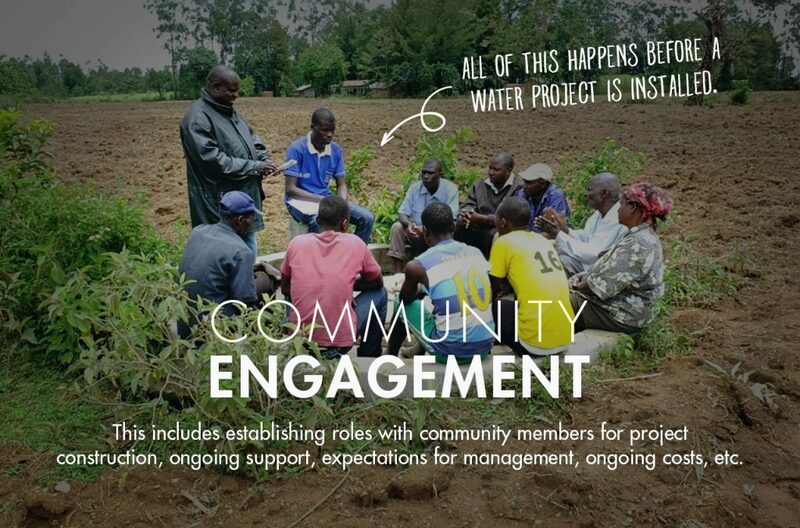 The community has developed a water user committee that is the go-between our staff and the entire village. 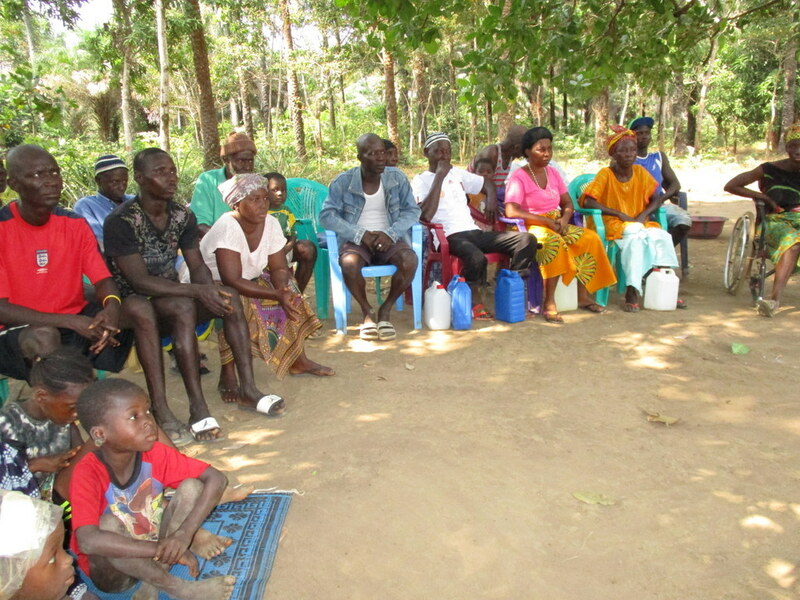 Everything that is planned for this specific community goes by the committee. 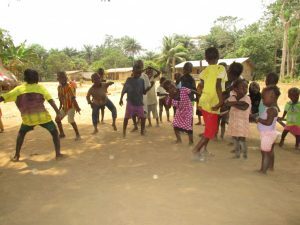 The committee was notified of the hygiene training a week in advance and the night before our arrival, the town crier announced it all over the village. The community was expected to be present at the training with the exception of the school-going children and young adults. 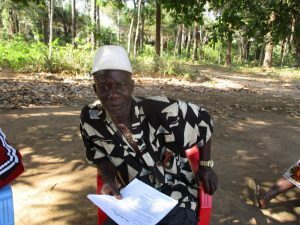 On the first morning of hygiene and sanitation training, a final call was made to the headman to alert him that we were on our way. 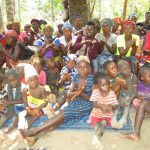 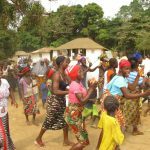 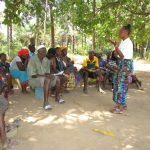 The attendance that day was more than we expected with more than 200 people at the village headman’s compound when we arrived. 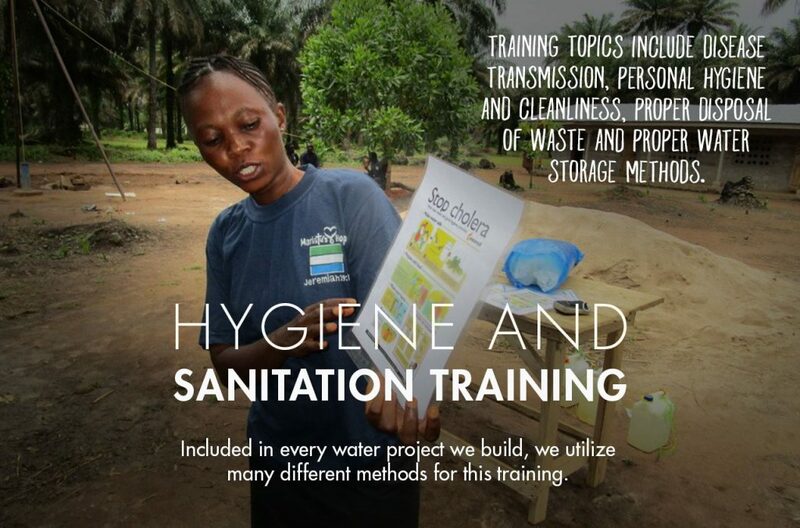 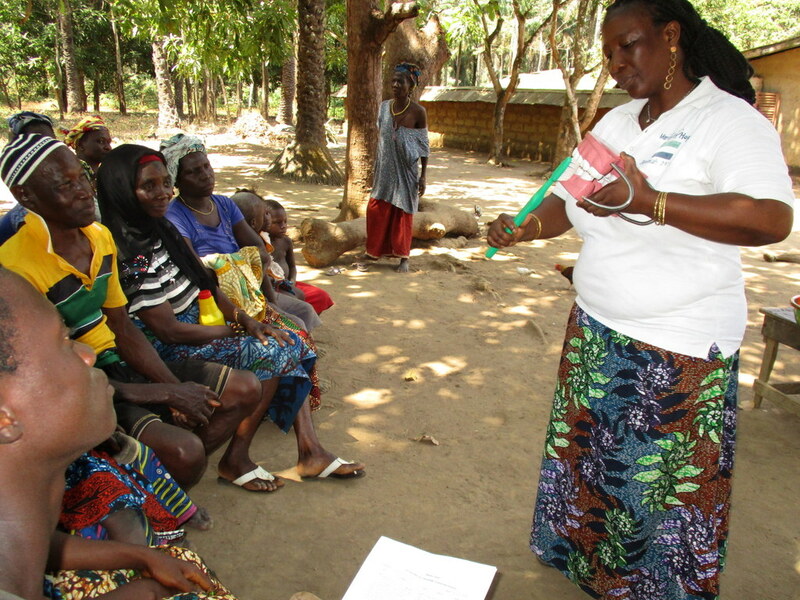 More than half the population of the entire village showed up for the hygiene training! 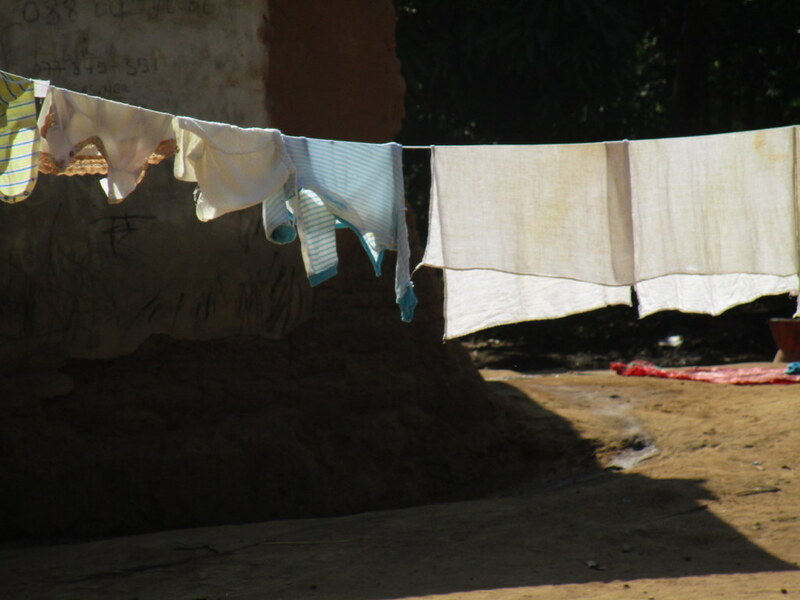 It was a sunny afternoon with wind blowing just enough to remind you of the very dry season ahead. 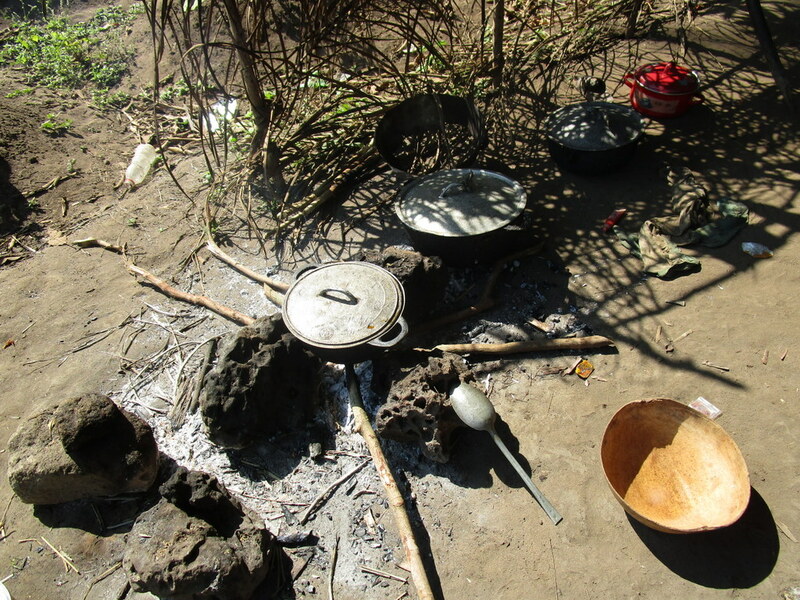 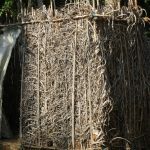 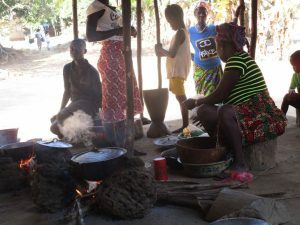 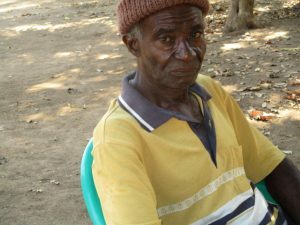 We arrived at the village and was seated under a large cashew tree. 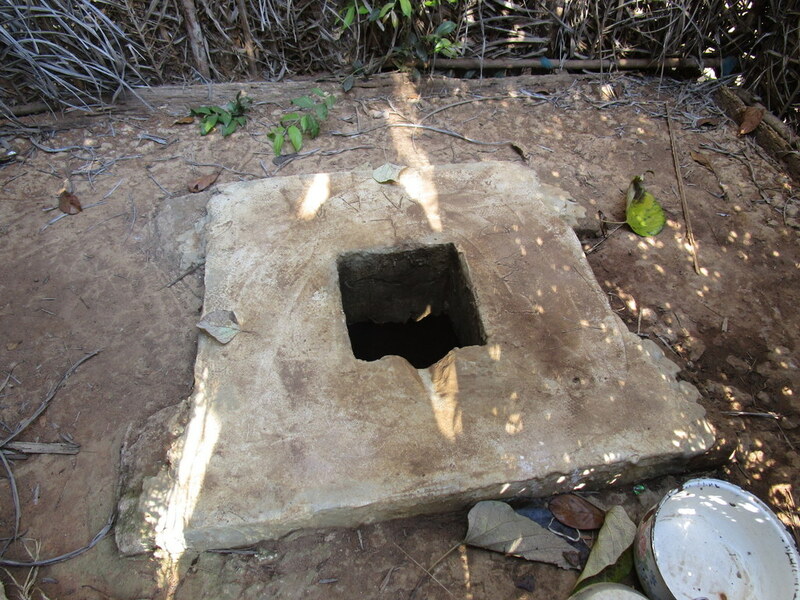 The compound was free of grass and perfectly swept. 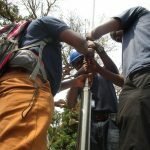 The shade from the trees provided a very comfortable and training friendly environment. 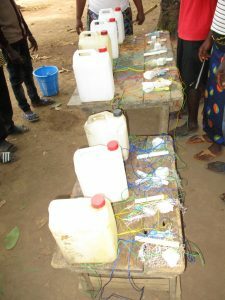 There was a moment of silence to reflect on the mistakes of the past. Some mothers started murmuring, maybe that was why their baby had diarrhea. 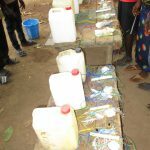 They started to see their faults and only then did they begin to understand the dangers associated with a lack of proper handwashing. It is common for a child to be picking food from the ground, the same spot where he or she has just gone to the bathroom. “I am very happy to have the hygiene team come and strengthen the message I have been trying to pass on to my people. 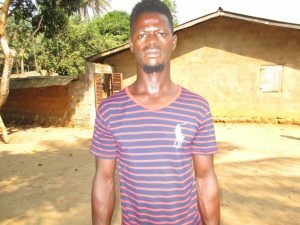 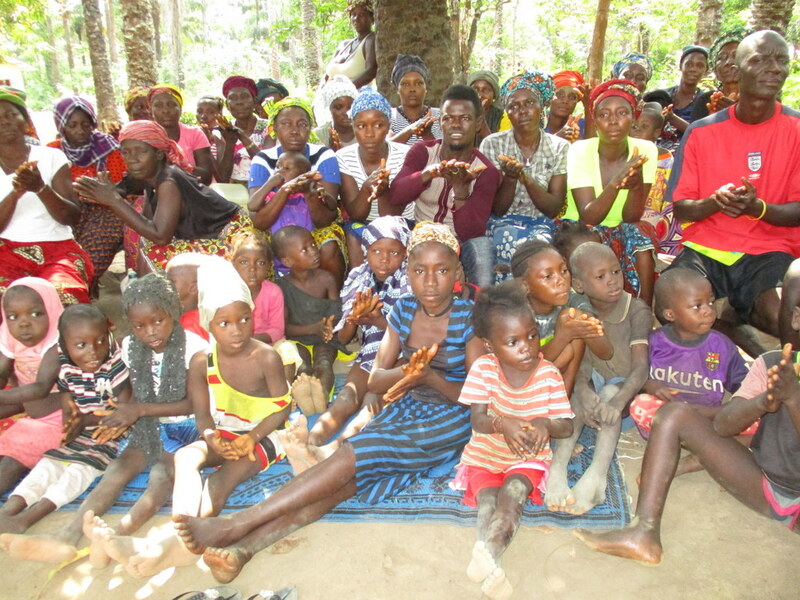 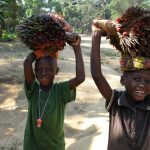 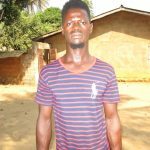 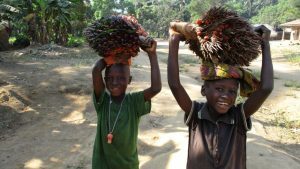 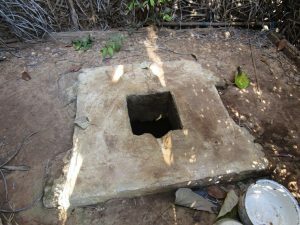 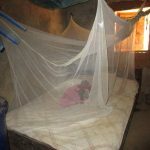 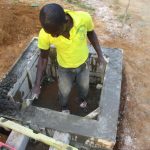 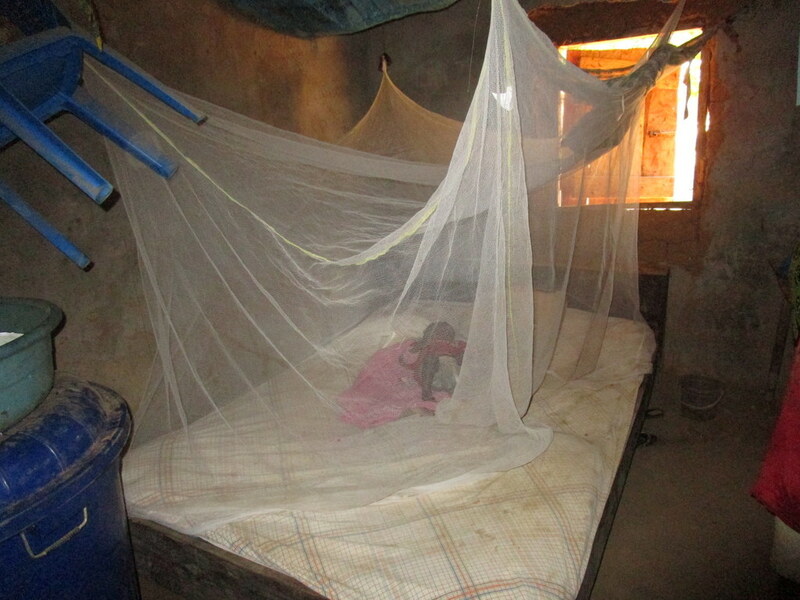 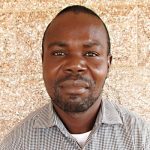 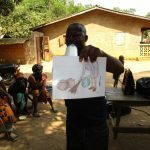 A lot of our children never see their fifth birthday because of negligence or lack of proper hygiene practices,” said health worker Lamin Turay. 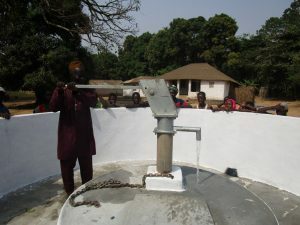 The dedication was held on a Friday afternoon immediately after prayers. 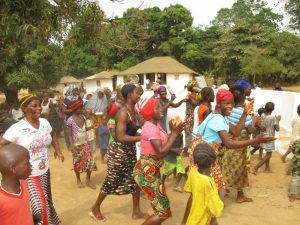 The people wore their Friday best! 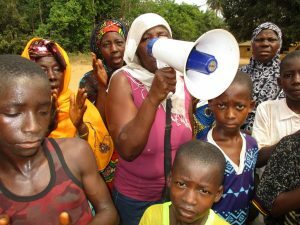 The sound of the approaching motorcar for the ceremony made the community erupt into singing using a loud bullhorn so the beautiful songs could be heard far away. Most people in these villages are raised on cultural songs. 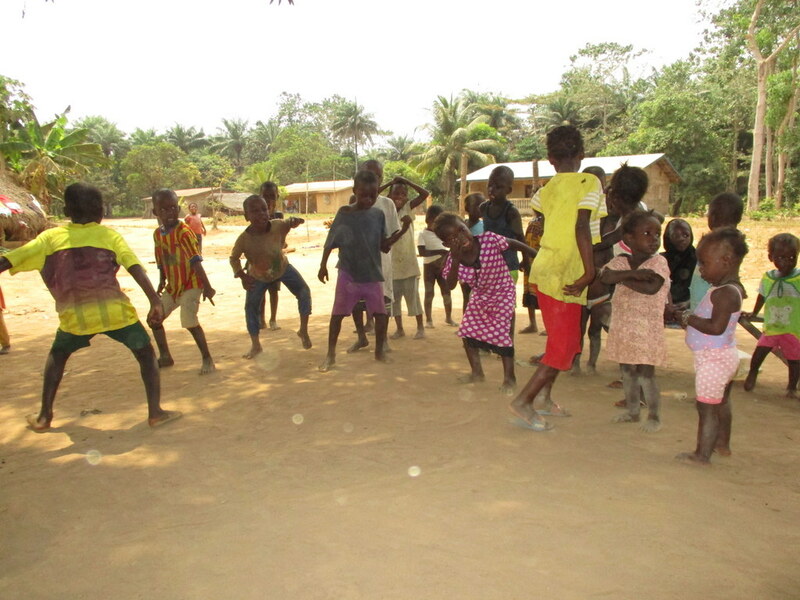 They learn songs to show happiness and songs to celebrate a moment of sadness. 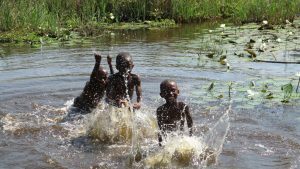 All songs are reflective and used to praise an individual or a group of people. 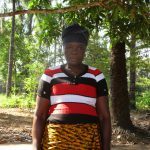 The driver of our vehicle stopped at the sound. 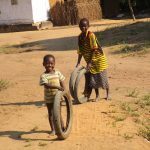 For a moment he thought there was something wrong with the car. 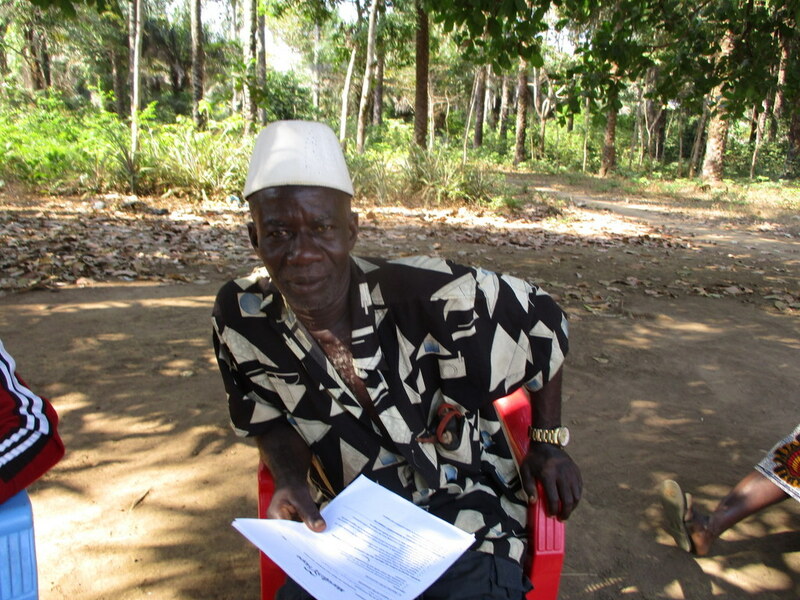 He heard the songs and immediately made out the beautiful words in the Temne tribal language. 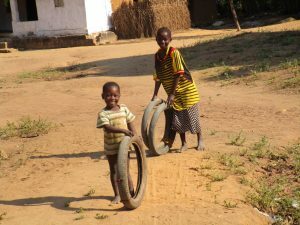 He sang along, word for word, with a smile on his face as the song took him back to his childhood. 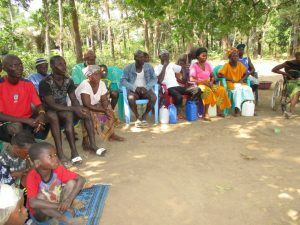 The arrival of our team for the dedication was just in time for the afternoon prayers, the head man along with other members of the village deemed it fit for the dedication to be performed after prayers for a better dedication ceremony. 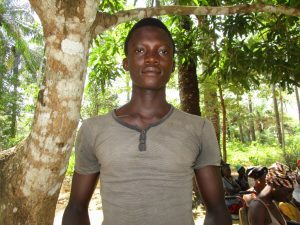 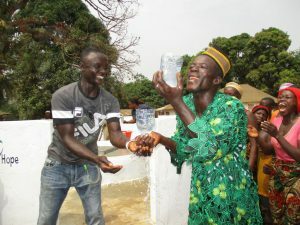 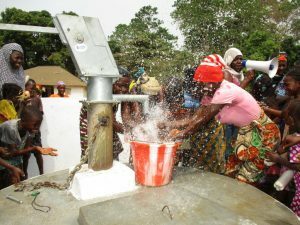 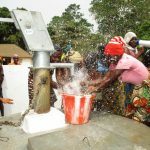 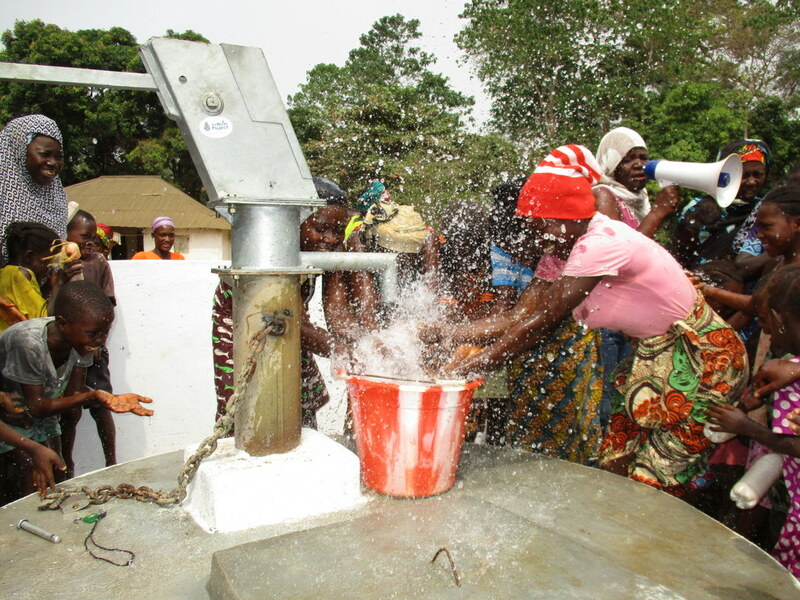 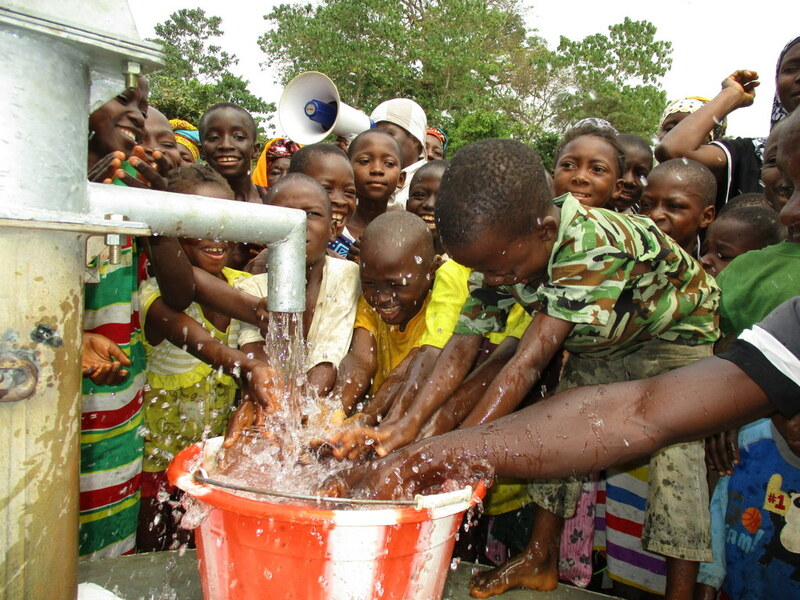 Ibrahim S. Dumbuya truly appreciated the new water project as it helps his people drink clean and safe drinking water. 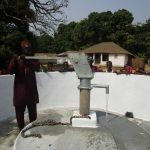 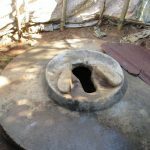 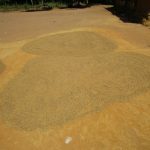 He was bold enough to explain that most of the prevailing sicknesses like diarrhea, and some water born diseases are a result of the poor and contaminated water that they used to resort to drinking. 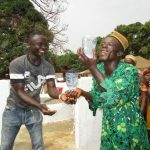 That is why he thanks us for helping his community. 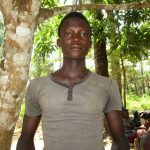 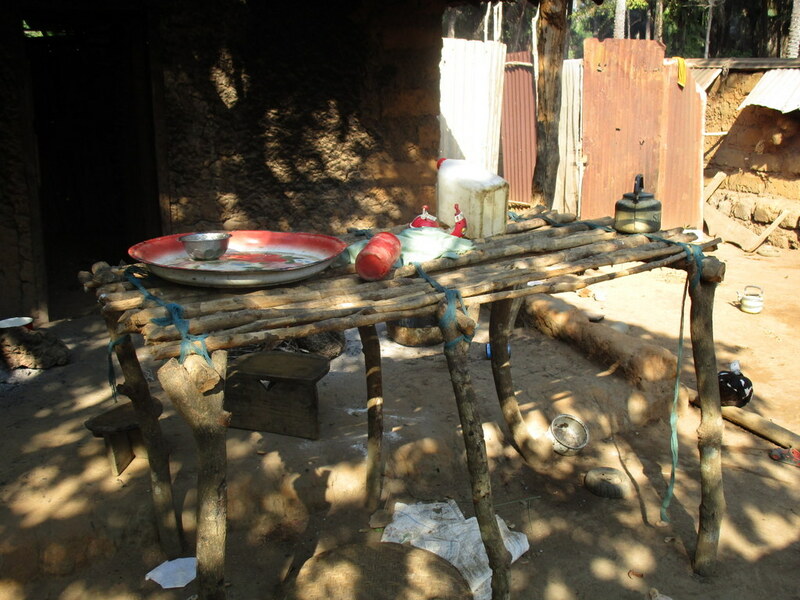 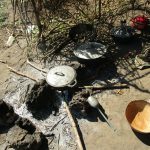 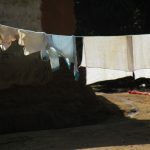 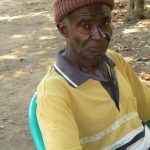 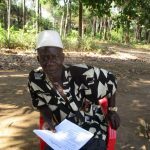 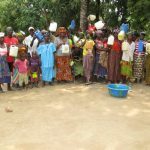 According to him, the organization did not only give them safe drinking water but equally educated his people about proper hygiene and sanitation. 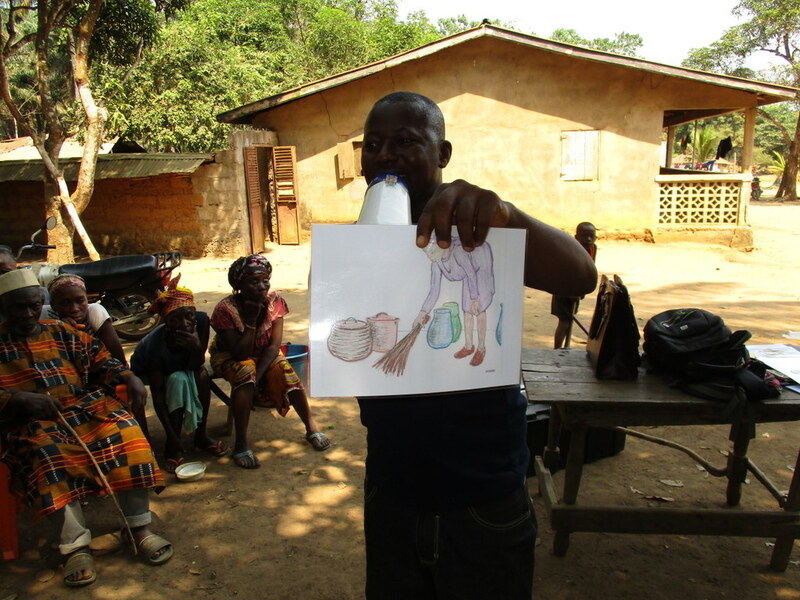 He was very thankful and truly appreciates the way the hygiene staff delivered the message. 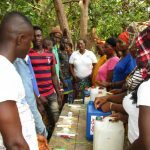 He promised to help educate his neighbors in maintaining the good health practices that were taught and how to maintain the new pump. 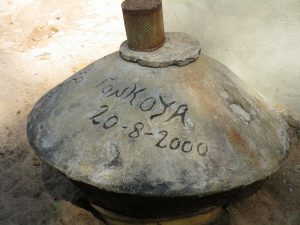 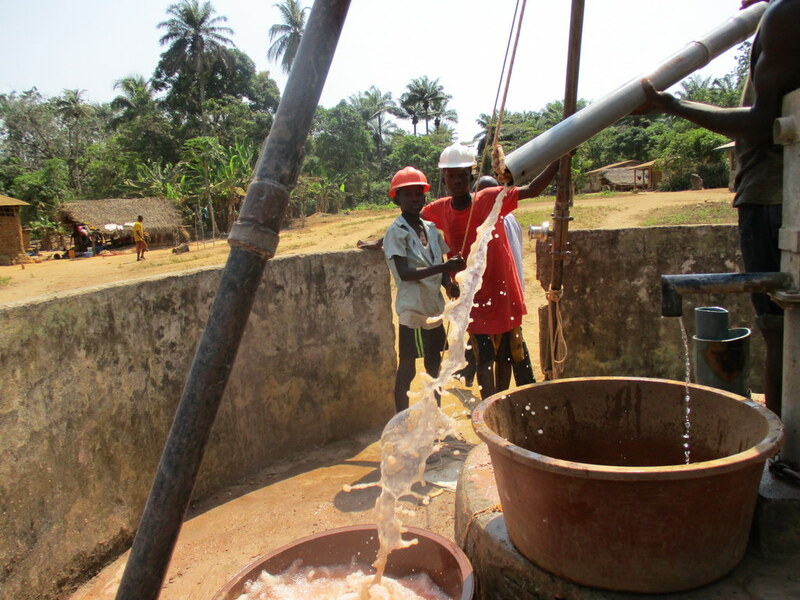 A severe clean water shortage in Tonkoya Village drains people’s time, energy, and health. 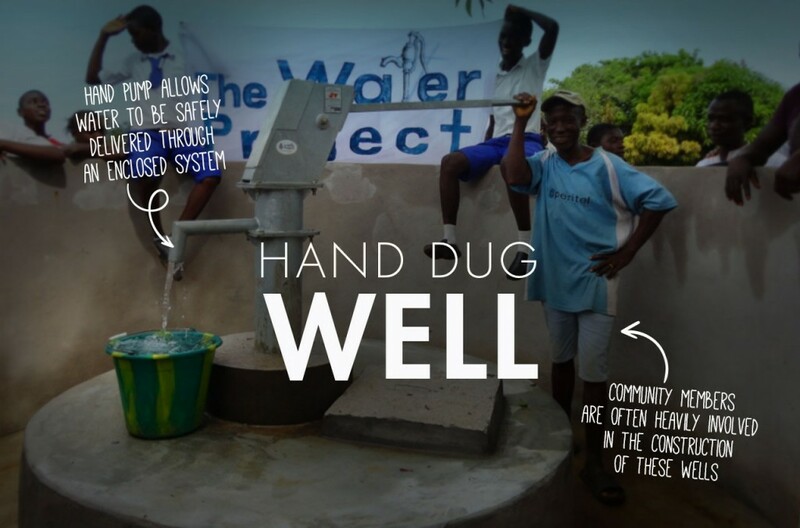 Thanks to your generosity, we’re working to restore reliable, clean water to a well and much more. 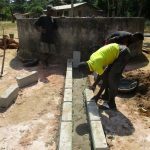 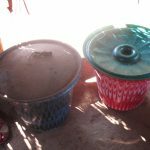 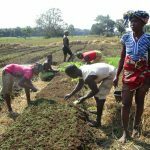 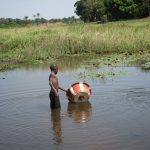 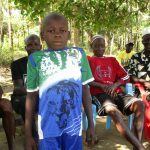 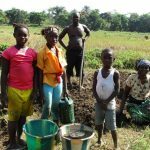 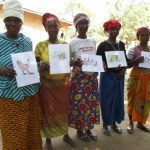 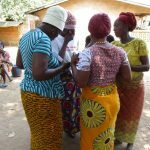 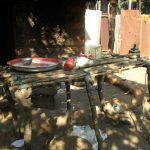 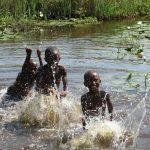 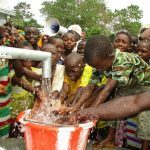 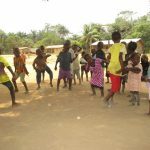 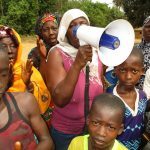 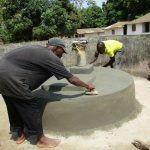 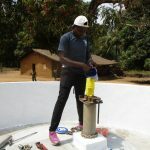 Get to know this community through the introduction and pictures we’ve posted, and read about this water, sanitation and hygiene project. 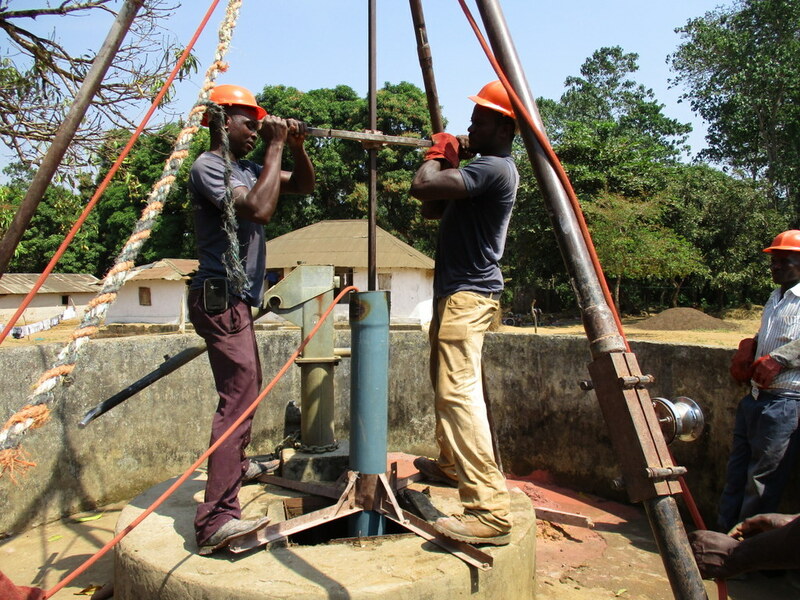 We look forward to reaching out with news of success here!